Runs directly off of the disc, uses Redbook audio for music. At least copying the game files to a folder on your hard drive is the bare minimum requirement for more fixes, if needed. Open your game CD in any application that rips audio CDs, and rip the audio into an easy to find place, preferably into a folder in the game’s directory. 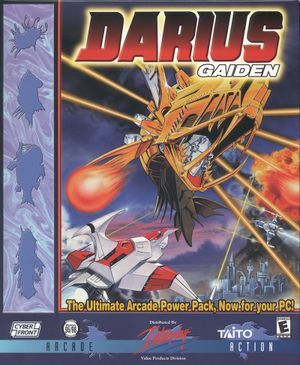 Select "Save", go to the folder you installed Darius Gaiden in, then save the ini file. Close _inmmcnf.exe, then drag darius.bin onto the _inmmcnf.exe file itself. This will pop up a message asking if you want to patch the executable. Select "Ok". Launch loader.exe whenever you want to play the game, or rename darius.bin to darius.exe, and launch the newly renamed file to skip the launcher. Only two resolutions: 640x480 and 320x240. Only for game settings window. Have to use mouse for game settings window. This page was last edited on 21 April 2019, at 07:22.